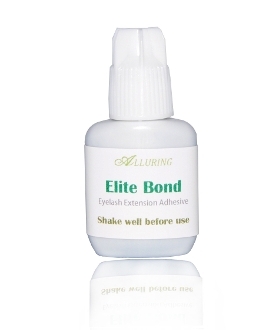 This ALLURING ELITE Bond glue has fast drying time of 1-2 seconds . It's only for professional use because of the quick drying time you can move quickly without the lashes getting stuck together. This glue offers strong bonding power and drying power. The setting time is very fast & the bonding time is up to 5-8 weeks with proper application & client care. We also carry 5ml bottle in our store. Glue must be shaken for 1 to 2 minutes before use.